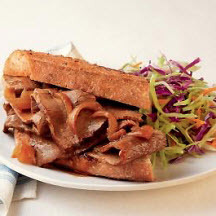 CooksRecipes has quality, kitchen-tested recipes for beef brisket dishes that you can count on for successful deliciousness. 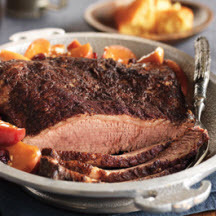 Autumn-inspired, fork-tender beef brisket braised in fruit juice and served with an apple-cranberry sauce. 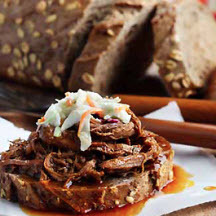 This delicious, slow-cooker beef brisket recipe is courtesy of CanolaInfo.